We have honey straws, honey sticks, and some people call them honey stix (honeystraws, honeysticks). You can choose to buy honey straws by the individual variety - (i.e. clover, blueberry, cherry, strawberry, etc.) or in honey straw variety packs. If you are looking for what some consider traditional honey that would be clover honey sticks. 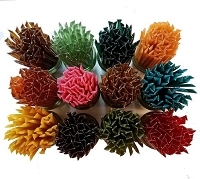 Click the links below to explore the various options we have available for buying honey sticks. 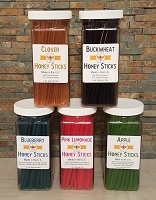 We offer honey sticks in quantities of 10 up to bulk orders of 2000 honey sticks or more. So no matter if you are buying for personal use or to sell at a market, we have options available. You'll notice we also have honey straw variety packs with free shipping (shipping is included in the total). We have a number of customers out west and also in HI and AK where shipping to them can be quite expensive. So we have variety packs with shipping included when you are only buying honey sticks and nothing else as we know what type of box we can use to ship the honey sticks. 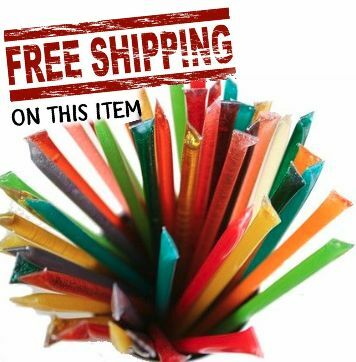 You'll find if you are buying other items in addition to honey sticks then the variety packs with free shipping does not make sense. The honey straws are 6.5" long and weigh 6g or .2 oz. each with only 15 calories per straw. Each straw contains approx. 1 teaspoon of honey and has 4g of carbs. Honey straws are gluten free and peanut free, no peanut products are processed in the facility that fills the honey straws. 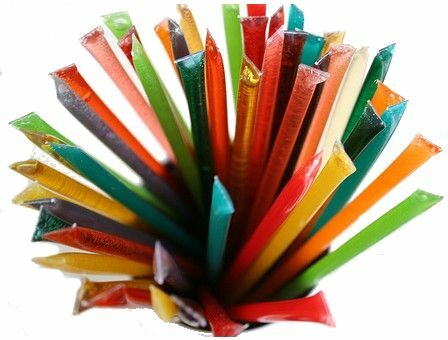 Honey Stix are 100% natural, Grade A honey, packed in straws. Natural extracts are added to offer different flavors. If you are looking for pure honey stick varieties with no flavorings or colorings those would be: Blackberry, Buckwheat, Clover, Coffee Blossom, Orange Blossom, Star Thistle, and Wildflower. To open them, just clip or pinch the heat seal at one end, and then just squeeze to open. If you need more information on Kosher Honey Sticks - please click here. You can also Read about the different honey stick varieties we offer.